It's not necessary to have a mast and a sail to have fun and enjoy the Caribbean off the coast of Punta Cana. 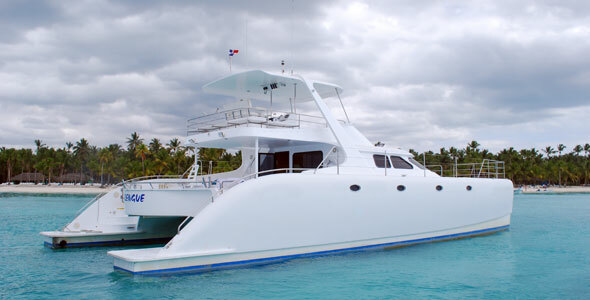 Punta Cana Yachts has the largest selection of powerboats available, including catamarans and single hull boats. Catamarans tend to me more stable on the water with less roll and yaw. Of course experience fisherman can always choose a monohull enabling them to catch the best catch of the day. If you are interested in getting a quote for the boat you wish to charter, feel free to give us a call or, better yet, contact us by clicking here. We'll get back to you asap! 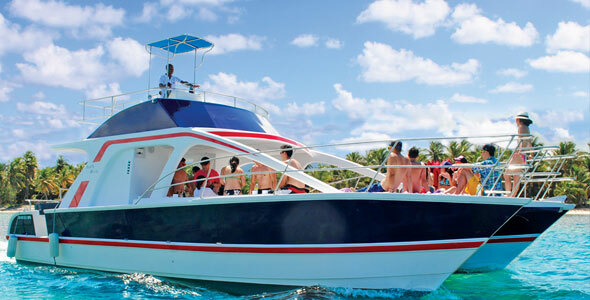 The ultimate experience to Saona island is on our fantastic 52' luxury yacht. Get ready for an unforgettable tour on the Caribbean Sea with premium open bar, h'ordeuvres, breakfast and lobster lunch. Private is the way to go for Isla Saona! The party starts here! 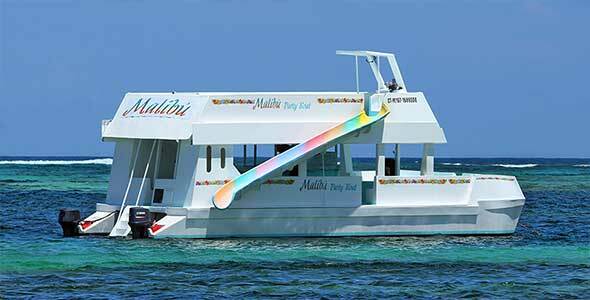 If you're looking for an all out party boat complete with Fun, Sun, and Rum, look no further! 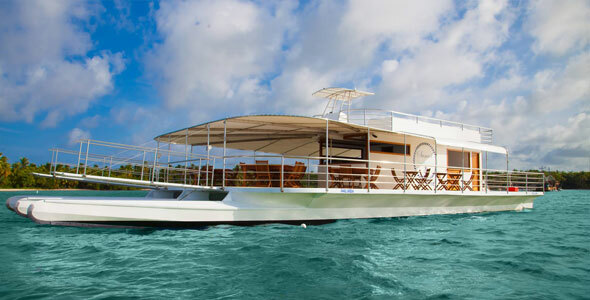 This double decker party boat holds up to 100 guests and is the ONLY choice for PARTY BOAT in Punta Cana. So grab your friends for this ultimate booze cruise! Looking for a sit down meal while Sailing the coast of Punta Cana? Specializing in Weddings, this incredibly spacious Trimaran can accommodate up to 150 people. With 2 bathroom, a full kitchen, and upper and lower decks, the perfect option for small and large groups alike. Perfect for Groups between 20 and 50 people. An incredibly spacious 41' Catamaran complete with 2 bathrooms, an upper deck, grill, and a high quality sound system! When you're not snorkeling along the reef, enjoy fresh coconut, seafood, and an open bar all day long. Do you love Sport Fishing? 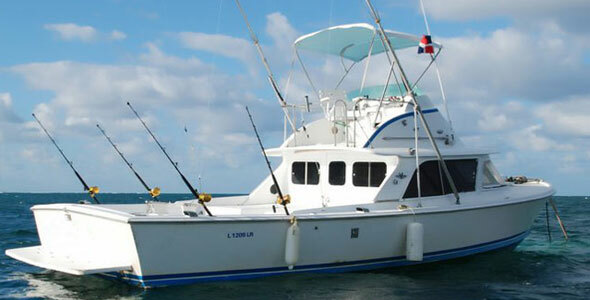 Here you'll have the opportunity for great catches like Wahoo, Sailfish, Dorado, Mahi Mahi, Baracuda and Snapper. As well as the big catches such as Blue and White Marlin. Enjoy one of life's greatest pleasures while in Punta Cana, Sport Fishing!